A beautiful smile is the gateway to expressing your personality and enduring new opportunities. However, we guard our smiles from the world because of the embarrassment of crooked teeth, and do not want to deal with the hassle from traditional braces. Thanks to advancements in cosmetic dentistry, Invisalign for our patients can straighten teeth comfortably and discreetly in half the time of metal braces. 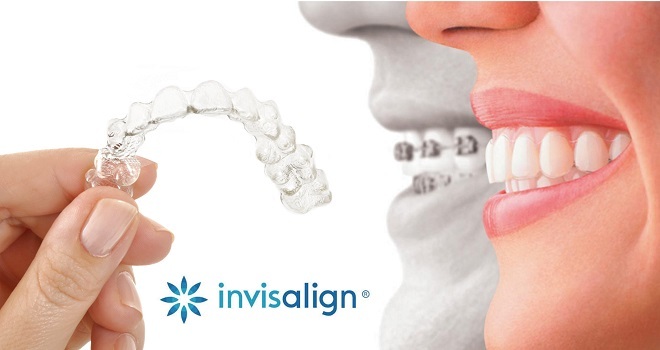 Your Invisalign treatment will consist of a comprehensive evaluation of your mouth. Then, the doctor will take impressions of your teeth by using 3D imaging technology to customize your aligners. You will receive your smooth aligners, which won’t irritate your teeth or gums. Still have questions about Invisalign? Check out our educational video below.